The Department of Arts and Communications teaches marketable skills useful for graduates in any field of study. Students from associated majors whose future careers will require proficiency in art, graphic design, public speaking, performance, or the practice of persuasive communication will benefit from departmental involvement. Our programs will prepare you for a broad range of careers. As a student of the visual arts, you will be exposed to a hands-on, product-oriented curriculum that provides you with the background of experience preferred by most graduate programs and a professional portfolio that is art-world ready. Weld steel sculptures, carve stone, pull prints from the press, paint, draw, collage, throw and sculpt pottery -- no matter how you get your hands dirty, you will work with professionals who do the same - active exhibiting artists and educators - and are there to help you realize your ambitions. People in all societies have for all time created art in order to understand the world, to document the world, and to change the world. Most of what we know of history, experiences, and evolution of humanity, we have gathered from the study of art, architecture, and artifacts. From cave paintings to Gothic cathedrals to computer imaging, art has defined and will continue to define humanity. The Art curriculum at Newberry College is designed to prepare students to understand and accept the challenges of the past, embrace the present, and approach the future with integrity, insight, confidence, and skill. Insight, confidence, skill, and - just as important - an empathic understanding of the world, are further enhanced through Studies Abroad. The Newberry College Visual Arts Program has, with no exception, the best studies abroad opportunity in the nation through an articulation agreement with the University of Georgia Studies Abroad Program in Cortona, Italy. Students that opt to spend a full semester on campus in Cortona, Italy, in the heart of Tuscany, simply pay regular tuition at Newberry College. Students will travel to Rome, Venice, Florence, Milan, London, and more while working with internationally known artists and art historians. The undergraduate thesis requirement for Studio Art majors consists of an exhibition of student work in the Wessels Library Gallery, the creation of a professional portfolio, a reception for the student artist, and a student gallery talk. With years of experience teaching and mentoring young artists, the Visual Arts faculty have placed students in graduate programs including Chicago Institute of Art, UCLA, University of Tennessee, Clemson University, Savannah College of Art and Design, and others. In addition, many more students are teaching in the public school systems throughout the southeast, and still others are working, exhibiting artists. 1. The BA candidate in Studio Art will select and develop themes, problems, issues, and techniques through study, research, and exploration utilizing a variety of appropriate sources. 2. The BA candidate in Studio Art will demonstrate the knowledge and skills pertaining to visual language, structures, and forms. 3. The BA in Studio Art will be able to create artwork that clearly address the student’s written artist’s statement. 4. Students completing the BA in Visual Arts will be able to explore and develop a body of artwork that has a consistent theme or motif. 5. The student will produce a body of artwork that will be professionally documented and exhibited in a public location as his/her Senior Exit Exhibition. Students pursuing a BA degree in Studio Art must complete a total of 36 semester hours in a prescribed course of study. 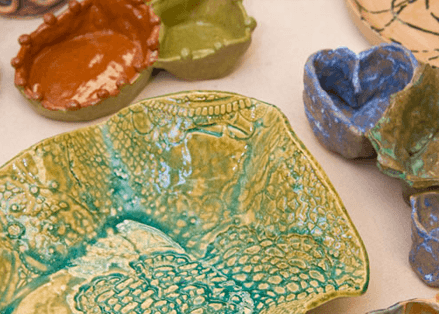 Students majoring in Art with a concentration in Studio Art must complete Art 101, 102, 161, 171, 191, 211, 212, 221, 231, 241, Art Core C (300-level course), and Art Core E (400-level course). Plus 48-51 elective semester hours (possible minor or double major) to meet required 126 for graduation. GPD 220 and GPD 320 are recommended. The Art minor requires 12 hours of coursework in addition to Art 211 or Art 212 for a total of 15 hours. Have you ever wanted to reach an audience of millions? Does reporting the latest story excite you? Do you want to be the public voice of a company or cause? Or does the thought of making a complicated production process run like clockwork make you happy? If you answered "yes" to any of these, then the Newberry College Communications Program can help turn your dreams into the start of a satisfying career. Communications students get many opportunities to work in both student and professional media during their time in our program. As part of their Media Writing requirements, all students may write for The Newberry Observer, the county’s newspaper. Students also get opportunities to serve on the staff of WNIR-LP FM, the College’s radio station. During their required internships, students work with professional media companies large and small. Students are encouraged to find internships with companies in their intended career fields. Internships not only bring practical experience, but they also help students build valuable contacts that could lead to that first big career break. Our students have worked with television stations in all three nearby television markets (Columbia, Greenville/Spartanburg, and Augusta). Within the last decade, four of our students have been selected for prestigious summer internships offered by South Carolina Educational Television. Students have also served internships and enjoyed immersive learning experiences with CNN, Disney, and other large companies. No matter the internship, that valuable real-world experience reinforces what our students learn in the classroom, helping them become the valued, well-rounded media professionals of tomorrow. It’s another reason why Newberry’s Communications program is second to none. 1. Students will identify the principles of mass communication. 2. Students will develop writing skills appropriate for print and broadcast media. 3. Students will demonstrate skills of audio and/or video production. 4. Students will apply the legal principles that govern the practice of mass communication. All Communications students are required to complete a minor or double major, chosen in consultation with their advisers. Students may also fulfill this requirement with completion of an approved study-abroad program of at least 12 credit hours. NOTE: Students planning to major or minor in Communications are required to have their own laptop computers, video cameras and editing software, along with a few essential accessories for video and audio production. The Communications Program has a buying guide available here to help students select appropriate but affordable production gear for course assignments. Look at a logo, website, or magazine. Are you drawn in by what you see? Are the colors appealing? Is the look open and inviting or busy and cluttered? These are the kinds of questions you will confront as a graphic design student. Graphic designers create visual images to be used in ads, logos, and websites using cutting-edge software that every graphic designer needs to know. 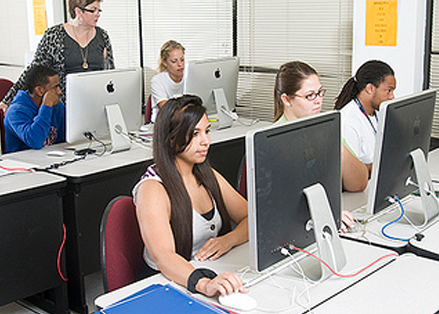 At Newberry College you will learn about graphic design which will include typography, photography, branding, computer graphics, history of Graphic Design and Web and App Design. At Newberry College you will learn design which will include the way fonts and images are used to make visual statements. 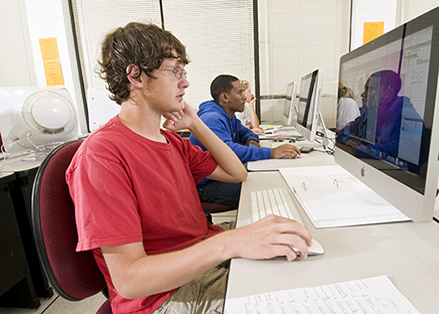 The graphic design program has a state-of-the-art computer lab that allows students to use both technology and creativity to develop the best possible portfolios. Students work on Apple computers with Adobe software. Photoshop, Illustrator, InDesign, Dreamweaver, and Wordpress are all used to design students' projects. In addition, students will take studio art classes such as painting, drawing, and sculpture in large studios to better learn about composition, color, and aesthetics. The department is equipped with several digital cameras, two large color printers, and other equipment that will assist the student in achieving their design goals. Internships are integral parts of an education. Graphic design students are encouraged to intern during the semester or over the summer. Assistance is given for those that need help obtaining an internship. Students will design a professional portfolio that meets industry standards and takes into account each student's identifying area of specialization. Students will develop skills to lead and participate in client meetings and will conduct themselves professionally. Students' technical abilities will increase using “high tech” and “low tech” tools and materials including various hardware, software, and applications to design and produce graphic works. Students will develop skills in budgeting and time management. Students will demonstrate ethical responsibility to clients to include treating them fairly and respecting their uniqueness; respecting their fundamental rights, dignity, and worth; and their right to set objectives and make decisions. Students will maintain appropriate relationship boundaries, never exploiting the relationship in any way, clarify the specific roles of clients, protect all privileged information, and obtain informed client consent before using or referring publicly to client information in such a way that the client could be identified. The Social Media major is a new interdisciplinary major that includes existing courses in Graphic Design, Communications, Business Administration, Psychology, Statistics, and four additional Social Media courses. Through these courses, students will explore the techniques of social media in addition to the development and direction of social media as a creative industry. Students will work to develop marketing and branding strategies for projects including corporate, non-profit, entertainment/sports, news, and politics. 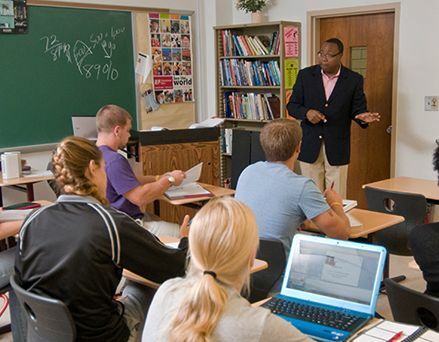 Personalized interaction is a key component to students' education at Newberry College. Social Media classes range in size from 5-15. Students are able to get one-on-one instruction from faculty, thus adding a great deal of personal attention needed to increase results. Students are learning to collect and analyze data, understand individual behavior in a social context, communicate, design, and conduct business all in a social media setting. The Social Media program has a state-of-the-art computer lab that allows students to use both technology and creativity to develop the best possible portfolios. Students work on Apple computers with Adobe software. WordPress, Hootsuite, Twitter, Facebook, YouTube, plus other software and social media publishing platforms are all used to help students gain knowledge in the industry. Students will also gain experience using digital editing equipment for video and photography. The department is equipped with several digital cameras, two large color printers, and other equipment that will assist the student in achieving their design goals. Internships are integral parts of an education. Social media students are encouraged to intern during the semester or over the summer. Assistance is given for those that need help obtaining an internship. Significant internship opportunities are available in many industries including corporate, sports, media, industrial, politics, and travel. Develop strong brand knowledge and recognition using various social media platforms such as Facebook, Twitter, YouTube, Wordpress, Hootsuite, Google Analytics, Pinterest, Linkedin, and others. Develop a strong ability to convert research data into insightful, actionable business strategies. Develop and execute social media campaigns to support traditional media activities. Develop ability to think critically and creatively using verbal and written communications skills. Develop a plan to execute social media tracking and insight which will inform, educate, and empower a business to maximize its marketing efforts in the social media arena by using best practices to optimize viewership, site visitation, and app usage. 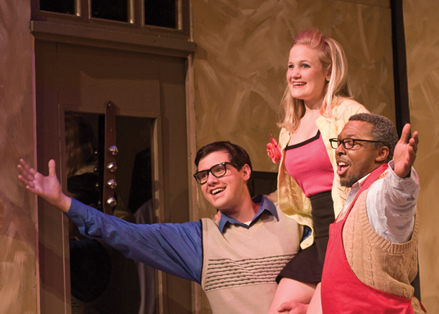 The Theatre program at Newberry College builds communication, performance, and technical theatre skills while helping students design and direct theatrical productions and create throught-provoking, entertaining productions. The department supports student attendance at professional conferences for auditions, networking, workshops, and master classes. Also, a cooperative venture with the nearby Newberry Opera House offeres Theatre majors and minors opportunities for performance, employment, and internships. The Theatre and Speech program prepares students for successful academic careers, vocations, and the ability to make a positive artistic impact on their communities. Through theory and application and by nurturing skills in performing and communication arts, the program exposes students to a variety of performance and technological experiences that may serve to expand each student’s vision beyond the traditional forms. Recognize and practice the professional approach to theatrical production. Enhance interpersonal, group communication, organizational, listening, and evaluative skills. Develop individual talents and gain experience in performance studies for graduate studies and/or work in the field. Understand concepts of spontaneity, creativity, and emotional freedom as related to the craft of acting. Increase student knowledge and gain experience in selected areas of technical theatre for graduate studies and/or work in the field. Meet required standards regarding use of positive and flexible vocal qualities to communicate specific and distinctive interpretation in performance. Meet required standards and develop a methodology for creating a role, directing, and/or designing a theatrical production for public performance. Demonstrate a knowledge of stage management theory and technique in production for public performance. Understand the development of western theatre in general and as it relates to the state of theatre today. Communication is an essential part of the human experience, from the sharing of culture to the transmission of urgent information. Insights into human experience are gained as students complete Theatre and Speech courses. Students are also provided with tools for more ethical communication and are given marketable skills that are useful for graduates in any field of study. Courses in Theatre and Speech train future professionals. Students from associated majors whose future career would require proficiency in public speaking, oral communication, performance, and the practice of persuasion would benefit from involvement in the Theatre and Speech program. A minor in Speech or Theatre would complement any major, especially Art, Communications, Digital Marketing, Graphic Design, Education, English, Music, Philosophy, Political Science, Religion, or Social Media. The emphasis on technology means that students receive a combination of fundamental technique and industry-standard technology. All majors take a basic core of classes to form a foundation including history and theory, performance, design, and oral communication skills. The Musical Theatre minor is designed for students who are interested in Musical Theatre and are majoring in Music, in Theatre, or in any other degree program.